A month ago, I commented on Yakov Rabkin. And I sent my blog post off to him and he responded and asked that I read his book. I agreed. But I couldn't get through it. I had already read "Zionism Reconsidered" when it first came out some 38 years ago. I have the first edition of "V'Yoel Moshe" of the Satmar Rebbe from 1964. And many other tracts, pamphlets and books since then. So, for me Rabkin's book was a disappointment. Almost nothing original and incisive. But Rabkin himself was a disappointment. I do not know him but I am going to take an educated guess that he comes from a poor Jewish literary background, became observant late in life and his Hebrew is fairly minimal. Thus, to take on the subject at hand, which is the antizionism of traditional ultra-orthodox Jewry based on what I know is a misreading of Biblical, Talmudic and Rabbinic sources, is too much a task for him. And so, I had to put the book down. But in order to present to you (and him) some highlights of my criticism, I will go through the pages I marked and concisely mention my negative remarks. P. 25 As an example of his claim that Jewish nationalism sought to be a substitue for religion, he quotes Jabotinsky referring to a "God" that Jewish youth need - when what Jabo was doing was using "God" as a goal, not as a divinity. He further claims that Betar, the youth movement, "replaced Judaism", which is stupid for many thousands of Orthodox Jews joined it and stayed religious in it. Betar even demanded that its members respect tradition. P. 27 While noting that Zionists "used the Torah to justify Zionist claims to the Land of Israel", he is upset tha AD Gordon denied the Toprah's divine origin. Deny or not, the claims of the Jewish people to the Land of Israel are rooted in the Bible so what is Rabkin trying to say? Well, a few lines further on, he writes that what Gordon has done is devalue the absolute value of human life by asserting that Jewish life inthe Diaspora is not worth living (unlike Rabkin's heroes among the most fanatic Hassidic masters of Hungary, Rumania and Poland who sought to sanctify Diaspora existence as part of God's master plan for evebntual redemption) and therefore, Gordan, et al. are akin to...German National-Socialism aka Nazism. P. 29 He claims that it was not antisemitism that Zionism was foremost repsonding to but...liberalism and nationalism. But Zionism was only a modern political framework for the natural Zionist element of Judaism which is the mitzva to live and dwell - גור ושכון - in the land and to assert ownership over it לאחוז בה. And most certainly it was antisemitism that formed the major thrust for the organization of Jewry to achieve Zionist aims. P. 53 He bemoans the fact that Haredim are estranged from academic post-Zionist circles, which is the fault of these secularists who should have found "points of convergence". In other words, better the atheist than a National Religious type. P. 57-58 He makes a big deal out of nothing in pointing out that Jabotinsky's Hebrew primer, "613 Words" was replaced by a book called "1000 Words" and why? Because Russian Jews in the 1970s had little knowledge of the cultural nexus between 613 and the number of Biblical commandments thought to be also 613! P. 62 He acts as an exegesist and claims that the phrase "promised land" does not refer to the people to whom the land was promised but to the divinity that promised the land, skipping over the numerous times that God had made a covenant to award the Land to the Jewish people. And what do we do with the command of Deuteronomy 1:8 - "See, I have given you this land. Go in and take possession of the land that the LORD swore he would give to your fathers — to Abraham, Isaac and Jacob — and to their descendants after them"? P. 72 In dealing with the Oaths, that classic aggadic commentary, as if it could replace Biblical commandments, he writes that there was a restriction against collective settlement and this, at a time when the land of Israel, despite Roman conquest, was being collectively settled by Jews against all hardship. And at the bottom, he notes that the term "Land of Israel" is not found in the Pentateuch. But the "Land of the Hebrews" he is forced to record is. Are not the Jews referred to as Hebrews as much as Children of Israel? And in the Book of Joshua, which will not in the first Five Books, Joshua himself is a Pentateuchal figure and in chapter 11, verse 21, we read of ארץ בני ישראל: "the land of the children of Israel". Oddly, for a Diaspora-oriented fellow, he ignores the Egyptian stella of 1230 BCE which uses the term Israel to describe our part of the world. And Genesis 15:18 just records "land" because one needs no other definition: "In that day the LORD made a covenant with Abram, saying: ‘Unto thy seed have I given this land...". I had to stop here. Rabkin's intellectual capability in dealing with the source material is limited, he is repetitive of previous works, is shallow and his logic is inconsistent and wildly unreliable in understanding the context of events in Zionist history. He worships the Neturei Karta brand of Judaism. He delights in his modern Golden Calf. The month of Elul demands introspection. The time has come to acknowledge Kook's genius and how he understood the important role secular Zionism has played in the modern development of Judaism - while at the same time partly [which part? 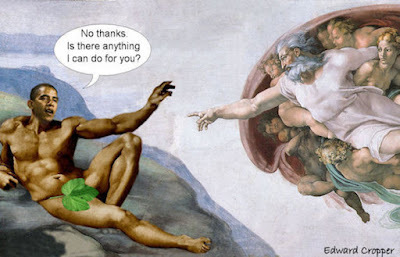 - YM] rejecting the messianic activism of Kook's theology. The messiah will come when the messiah will come. Meanwhile, there is important work for religious Zionists to accomplish beyond the settlement of the lands of the Bible and the building of a Third Temple. That's like tearing the heart out of Rabbi Kook's philosphy and practice. Irene Chun-I Cheng and Brett Louis Snyder were married on Thursday at the Municipal Building in New York by Michael McSweeney, the first deputy city clerk. On Sept. 6, Sewell Chan, a friend of the couple and a reporter for The New York Times, is to lead a ceremony that will incorporate some Jewish traditions at Orient Beach State Park in Orient, N.Y. I could make a very non-PC joke, but I won't. Love conquers all. Any comedy that can combine death, abortion, Jewish ritual and a mariachi band without curdling into complete lunacy deserves a modicum of respect. In the case of “My Mexican Shivah,” more would be pushing it. What raises this uninhibited hybrid above C level is a director, Alejandro Springall, with a flair for the surreal and a cast that knows its way around a stereotype. Set in a Jewish section of Mexico City, the movie participates in the disastrous mourning of a pleasure-loving paterfamilias (Sergio Kleiner) who has keeled over at a party after one too many horahs. While multiple plotlines and myriad dysfunctions jostle for our attention — the obligatory shiksa mistress being only the least of them — a pair of wizened Jewish angels tally the deceased’s moral ledger with the creativity of an Enron accountant. The pretension of the fake Grecian temple setting clashed with the high-decibel, rock-star format and overwhelmed the history implicit in the event. Ancient Greeks had a word for it: hubris. Back in December, I had a letter in the Jerusalem Post magazine dealing with Ehud Olmert's rejection of outside Jewish interference in fixing the future of Jerusalem. Olmert's proposal to the Palestinians is that the talks on sovereignty and control over the holy sites in Jerusalem be held under an international umbrella, where governments and other interested parties will be able to contribute their views...The role of the international parties would be to bolster the agreement that the two sides will agree upon in direct negotiations. ...This is the first time that Israel has proposed involving international parties on the Jerusalem issue, even if their role will be limited to a consultative one. ...Olmert is probably planning to include in the negotiations members of the international Quartet (the U.N., U.S., EU and Russia), as well as Jordan, Egypt, the Vatican and possibly the king of Morocco. From Israel's point of view, broadening the international, inter-faith element only increases the chances of finding an acceptable agreement, even though there is risk in involving parties who are opposed to Israel's sovereign control over the holy sites in Jerusalem. Seems the man can't be trusted to hold on to a principle unless, of course, one considers that commitments made to Jews are non-binding at for him, it's only the non-Jews and especially Israel's enemies that mustbe obliged, no matter what - history, religion, politics, security. 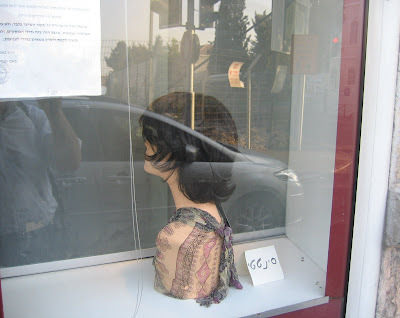 I have dealt with the subject of wigs previously, like here but the big story a ways back was this one: a store front presentation in Brooklyn which led the Rosh Yeshiva of Chaim Berlin to call for a boycott of the store until the pictures are removed, on the grounds that these stylish headshots are corrupting. Jewess commented on the story, as well. And why would I put this up? Because Failed Messiah Shmarya has gone ballistic over it. ...calling for murder and incitement to violence is not protected speech – even when someone tries to cover that illegal speech with a fig leaf of religion. Let Rozen rot in jail. "Go and (don't learn) from the laws of the Rambam". Moreover, in the context of what he is saying, he notes that the behavior of Peace Now, in tattle-telling to the court, to the EU and to the Arabs is despicable and that that is the comparison with the category of "moser". I personally think that any use of the term "moser" in modern political discourse is not necessary and unhelpful. First, it directs the conversation not to the Peace Now behavior. Secondly, since persons, like Peace Now, who act in a way which is inimical to Jewish rights are usually supported by fanatical persons who care more for less-than-exact similarities to Jewish law than trying to put Jews who haven't done anything wrong in jail, all you get is argumentation that doesn't solve the real problem - Jews cooperating with Arabs against Jews. In an interview with Matthew Swibel of Forbes Magazine in Jerusalem, US Secretary of State Condoleezza Rice was very forthcoming regarding the background to her methods and goals in trying to manipulate a peace situation into the conflict between Jews and Arabs. Moreove, surprisingly, she would not commit to a "two-state solution" at any cost. But first, before we highlight some of that, I found a funny, okay, Freudian, typo in the transcript. QUESTION: One of the challenges you have is to take the long view amidst, you know, a new cycle that is almost non-stop. QUESTION: So that night I tried to tally a list of what your stated goals were. QUESTION: So you were able to not to -- not freeze your plans. QUESTION: And not illicit a specific consequence. QUESTION: You were able to get a positive response of the new ideas even though there is nothing concrete. QUESTION: So it seems like you were able to keep moving along the two paths. It seems like it's an advantageous position. In case you missed it, that should have been spelled "elicit". QUESTION: You are speaking to far more people here than in the past. Can you lay it out for me? QUESTION: You know, your objective with this person is to do what? SECRETARY RICE: Well, some of it's by role. Defense Minister Barak is the one since the idea has responsibility for things like movement and access, has responsibility for lifting check points, has responsibility for what I'll call -- what we are calling movement on the ground, that kind of day-to-day life of the Palestinians. I spend most of my time with him on those kinds of issues, as well as the Phase 1 roadmap obligations, like removing outposts and settlement freeze because those are within his responsibility. But with each of these leaders, they also, because you know, they're all political -- they're not like Gates and me, you know, kind of appointed bureaucrats. They are, in their own right, people who lead political parties and so are political leaders. And so I also spend some time talking about the process going forward on statehood and, you know, how the United States -- this is, in part, some reassurance or assurance to Israel and Israelis that the foundation for moving forward has also, at its core, a strong US-Israeli friendship and a strong US-Israeli alliance. Because they are, they are about to take, if they are willing to do it, decisions that are really hard, that will overturn a lot of totems, will overturn a lot of long-held positions. And I think they have to be confident that the United States is a good friend in all of this. So we talk about that as well. With the two, with Shas, the leader of Shas and with the (inaudible) I just talked principally so they can hear first-hand, and Prime Minister Olmert thought this was a good idea, by the way, first-hand what we are trying to achieve, assuring them that we are not going to go after a two-state solution at any cost. That there has to be a -- that the Palestinians have to have a realistic prospect of a state, but the Israelis have to have a realistic prospect that that state is not going to undermine Israeli security by being unable to fight terror or the like. QUESTION: Were there any suggestions you got from Olmert, specific phrases or a specific message? SECRETARY RICE: No. No. We just -- I said, you know, there are some people I would like to meet with. I've met several times, I'll meet later with Avigdor Lieberman, for instance. And so it's not a matter of being involved in Israeli domestic politics. It's really more a matter of saying, being able to say directly to each person and for them to hear it from me and for them to ask questions if they want. "We are against the resettlement of Palestinians in Lebanon." Just that you should know, in Lebanon alone, there are claimed to be some 400,000 Arab refugees from the former Palestine Mandate area, including their descendants. Many Lebanese oppose the permanent resettlement of these refugees in their country, not so much because they care about another Arab state and its potential citizens but they fear these persons would tip the country's delicate sectarian balance and provide recruits for some of the most fanatic and extreme terror groups. Political sources in Jerusalem reacted by saying that Israel's position is that refugees will only be permitted to enter a Palestinian state, if and when such a state is established, and not into Israel. The 'right of return', as all know, is a death knell for Israel. All this bodes ill for peace. Okay, we've had one convention, international. Someone needs to start of the preparations for the next one, so, let this be a contribution. I vote for the people over at the New Israel Fund. They have the money and the sympathy for new technology. I'm even willing to accept a numerus clausus of one right-winger for every 2.5 left-wingers. If that doesn't work, the WZO. 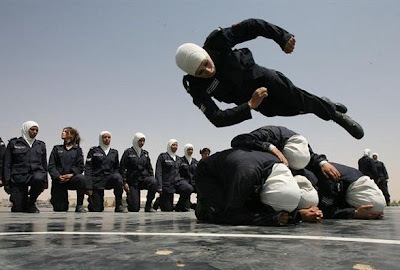 That way, no one will claim a pro-aliyah group is taking over the program. And while ultra-orthodox non-Zionists might have problems, free flights and accommodations should solve that. Of course, if Nefesh B'Nefesh is willing, I'm all for their sponsorship but it needs to be expanded physically (more rooms). Usability experts have seen dozens or even hundreds of poor designs, and have learned to extract subtle commonalities. They quickly can focus on potential problems without even conducting a landing page test. Via a moderated group discussion from your target audience, insights can be gleaned about user needs, expectations and attitudes. These findings can be compared to the proposed solution to determine if key elements are missing or are incorrect. Eye-tracking is particularly useful in detecting problems in the earlier stages of visitors' decision processes, awareness and interest levels. If most test subjects do not look at the desired part of the page, they are not even aware that the conversion action is possible. Customer service reps deal with your site visitors' problems all day long. Feedback can be collected in three ways: direct interviews or surveys of your reps, or a review of actual visitor interactions. Chat and phone call logs can be used to classify problems into categories. A number of easy, Web-based or telephone surveying methods are available. Surveys among your target population can be a useful source for discovering additional problems with your site. As voiced previously, we need more time, more workshops for technical and other matter as well as time for like-minded niche blogs to get together. On-line real-time video chatting and hookups so dozens abroad can participate or at least ask questions and make short comments. We need to add Hebrew, Spanish and French. Can all this be done? On time? P. S. Can NBN add a page at their conference site to permit comments to be collected there? The corrected list of the Jewish Bloggers Conference is posted up here. Now, is there anyone out there who has collected all the email addresses of everybody on the list so that those who believe in community can create targeted notices to our friends, or to like-minded bloggers or to those with shared interests from out of that list and thus generate what Medad's Three Ms message was all about? 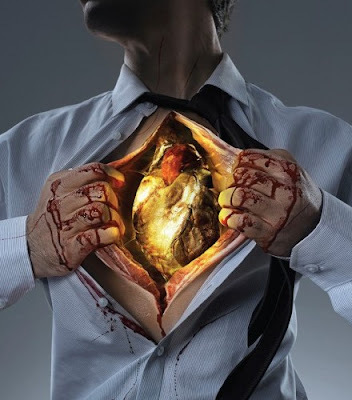 Ever notice how both pain and anger bring out the most fervent creative talent? 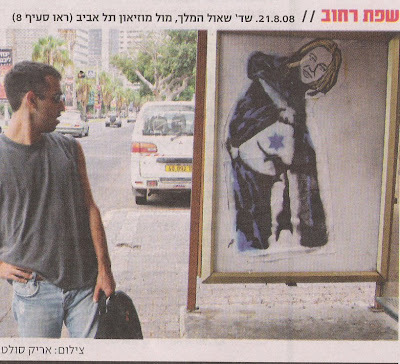 Naftali Shpitzer is the husband of Israel's Minister of Foreign Affairs, Tzipi Livni. Shpitzer's parents were supporters of Mapai - the forerunner of today's Labor Party - and he continued to espouse its views for many years after marrying Livni. His political leanings were not a cause of friction with her parents, who were staunch advocates of Herut, Mapai's arch-rival; indeed, at the time Eitan Livni was a Herut MK. At their first meeting, he asked his future son-in-law just two questions: what his name was and whether he kept kosher. He left politics aside. Nice way to catch a wife. There was doubt expressed at the JBloggers Int'l Conference whether Benjamin Netanyahu blogs. He claimed he does. At his home web site. Ah. But he also blogs here. In English. Infrequently. Six posts in the last year. Last one in February. 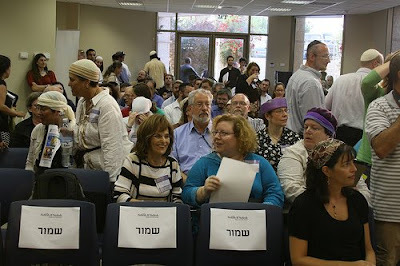 At his site, I found a Hebrew blog which quoted entirely and exclusively, a Ynet story of the conference. With no comment. His English web pages are not very impressive and there's no blog that I can find. I am sure he can do better, or have done better. One of the basics of reporting I was taught, okay, I am old school, is get a reaction. Not only is it the fair thing to do, but it usually livens up your story and if the reaction is pitiful and inadequate, it really nails the situation. This week, timed for Condi Rice's visit, Peace Now published a report on building expansion in the Yesha communities. Did anyone ask a representative of these communities, or the Yesha Council, to respond, react and rejoin? Anybody know of a "Yes"? Are they all lazy, negligent or just anti-Yesha. One never knows when and where Ze'ev Jabotinsky is quoted or by who. Like here, in a book review by Alex Renton of "Palestine Inside Out: an Everyday Occupation" authored by Saree Makdisi. The hinge to this guidebook to the Palestinian morass is a quotation from the Zionist thinker Vladimir Jabotinsky: "Every indigenous people will resist alien settlers as long as they see any hope of ridding themselves of the danger of foreign settlement." His essay of 1923, of course, advocates Jews settling in Palestine to make sure that that hope is destroyed among the people they will displace. It was titled "The Iron Wall". I don't want to compose an essay but the quotation is slightly out of context. So, it would seem that Jabotinsky was not a declared racist but was trying to make sure that Jewish rights were not trampled on nor done away with by...racist Arabs. For it was the Arabs that claimed that Jews had no rights whatsoever in any area of their national homeland. It was racist Arabs who sought to promote a policy of ethnic cleansing, first killing and expelling Jews from Tel Hai in March 1920, then attempting the same in Jerusalem's Old City in April 1920, in Jaffa and Petah Tikva in May 1921, in Hebron, Safed, Tiberias, Be'er Tuviah, Hulda and other locations in 1929 and on and on. In 1948, they wiped out the Jewish communities of Kfar Etzion, Revadim, Masu'ot Yitzhak, Ein Tzurim, Atarot, Beit Ha'arava, Neveh Ya'akov and others, including the entire Jewish Quarter in Jerusalem's Old City (what they attempted 28 years earlier). In very few places is it high. In most places it is only a chain-linked fence. Steel? And the WB & G are not "occupied". Those territories are more properly "disputed". And Israel has probably a better legal right to administer them than any other country. And besides, if those racist Arabs keep firing Qassams, etc., of what good is a wall, even an iron one? 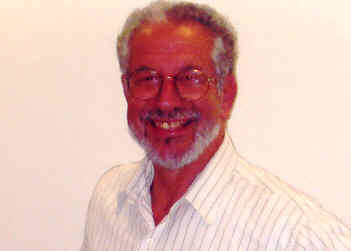 Professor Norman Rose deserves appreciation for pointing out that the "sensational revelation" of Chaim Weizmann's support for collaborating with the British occupier was already published some 30 years ago (letter, August 20). Nevertheless, I would suggest it is quite sensational to be reminded by Rose that Weizmann's policy predated the official Yishuv "Saison" operation by some six months. Rose's desire to see the "wider perspective," which includes Lehi's personal assassination (when is assassination not personal?) operations and its "flirtation with the Axis powers" is problematic. When the Hagana assassinated several Jews in 1940, who were suspected of informing on arms caches, and when the Palmach assassinated a British officer in Jerusalem in 1946, who had tortured prisoners at Biriah, did that stain them the way that the Irgun and Lehi were ostracized? Or was Weizmann's opposition more political than moral? Moreover, as the "flirtation" he notes occured in 1940-41, and as Stern had been personally assassinated by the British in 1942 and therefore a whole new chapter had begun in the fight for Israel's liberation, one in which the Hagana and Palmach joined the so-called "dissidents" in November 1945 in the United Resistance Movement framework, perhaps Weizmann was wrong in his grovelling before the British. Islamic Terror Targeted British PM? British counterterrorism police officers investigating a suspected conspiracy to assassinate Prime Minister Gordon Brown and his predecessor, Tony Blair, arrested a 29-year-old man in central England on Tuesday, officials said Wednesday. The arrest of the man, who was not identified, was the fifth in two weeks...A fourth man, described by the Press Association news agency as “believed to be a white Muslim convert,” was also detained Tuesday in nearby Blackburn. The four men were all in their early 20s and were being held under counterterrorism laws permitting detention without charge or trial for limited periods. According to British news reports, the suspected plot was related to calls on a British jihadist Web site last January by a previously unknown group identifying itself as Al Qaeda in Britain. American military officials sought on Wednesday to refute claims that as many as 90 civilians — among them 60 children — were killed in airstrikes on a village in western Afghanistan last Friday. I hope Israel learns from the US PR efforts. In 1966 he flew his single-engine plane called "Shalom One" from Tel Aviv to Port Said, Egypt, where he was arrested and sent back to Israel. The flight made world headlines and a few weeks later he carried his campaign to Europe, the United States and even the Soviet Union. That flight was in February. In April, he arrived in New York and we greeted him at the plaza across from the UN. Well, sort of greeted him. Betar, my youth movement, did not think his stunt clever or helpful. At the best, we thought him another naive person. I approached him and asked for an autograph and said to him, "I am also for peace. A piece of Egypt (Gaza) and a piece of Jordan (Judea and Samaria)." He didn't think it funny. Later that year, I flew off to Israel for a year's leadership course. In June 1967, Israel had Gaza (and Sinai) and Judea and Samaria (and the Golan). I didn't do so bad with my piece dreams. "Around 2 am, my house was surrounded by large police forces, who handed me this warrant, which bans me from my home and Judea and Samaria in general," Meir Bertler of Adi-Ad told Ynet. Bertler, a father of two whose wife is expecting, denied the army's claims that he was planning to disrupt the coming olive harvest. "All they (the IDF) want to do is to silence the settlement movement and stop us from forming new outposts and stage marches across Judea and Samaria," he added. 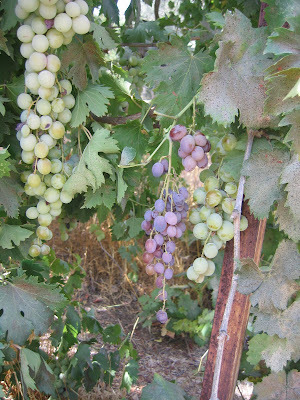 As for the timing, Bertler said that since the harvest was weeks away, "this can't have anything to do with it. We will have to see what we can to against these warrants. This will not be ignored." Bertler, along with Akive Hacohen from Yitzhar, has been banned form the area for four months. The IDF is now searching for David Liebman from Adi Ad, in order to serve him with a similar warrant. Once news of the restraining orders became public, the Yesha Council demanded that they be immediately rescinded: "The Yesha Council firmly objects to such draconian orders. If a person or a group of people is suspected of planning to break the law, it is the law enforcement authorities' right and duty to deal with the matter," a council official said. Nadav Shragai has a Temple Mount article up at Haaretz. ...a few months ago an emissary visited the Temple Mount on behalf of ultra-Orthodox rabbinical judge, who concluded that, contrary to the ruling of the most revered ultra-Orthodox rabbis, under certain circumstances it is possible to allow the entry of Jews to the Temple Mount. The well-known judge hastened to share his findings with his close circle, family and friends, but they just as quickly cooled his enthusiasm, warning him against publishing his conclusions. In the ultra-Orthodox world there is absolutely no tolerance for anyone who violates the prohibition against visiting the Temple Mount. Tendler, who openly visited the mount, has been roundly censured. About 20 years ago the Belz Hassidic Elboim family, which founded the Movement for Establishing the Temple faced similar responses, but continues to visit the Temple Mount every week. Yosef Elboim, the movement's leader, has had excommunication orders issued against him, disallowing him from being counted in a minyan; the mezuzahs have been torn off the doorpost at the entrance to his house, and his front door was set on fire. 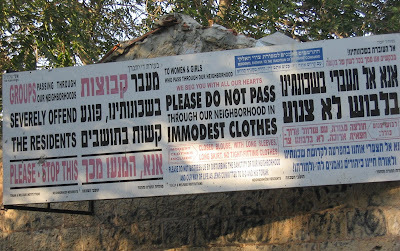 In Jerusalem's ultra-Orthodox neighborhoods, announcements were plastered on the notice boards, denouncing him and the "other sinners" who joined him. 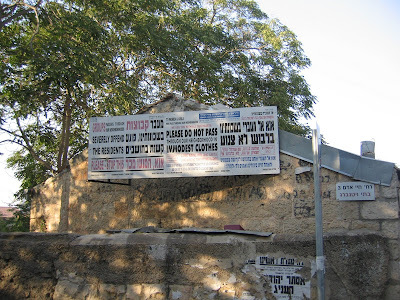 The harassment stopped only after Elboim's friends responded by protesting outside the home of the then rabbi of the ultra-Orthodox Ezrat Torah neighborhood, the late Rabbi Simcha Bunim Waldenberg. This week, when the most respected ultra-Orthodox rabbis saw the widening crack in their following, and amid growing fears that others would be drawn toward the lenient national-religious ruling, the rabbis mounted a counteroffensive. Rabbi Yosef Shalom Elyashiv, Rabbi Ovadia Yosef and Rabbi Chaim Kanievsky, instructed Rabbi Shmuel Rabinowitz, who presides over the Western Wall, to reissue the rabbinical ruling from 40 years ago, forbidding visits to the mount. "The rabbis who allow this are mistaken," announced Yosef, "and they will ultimately be held accountable." This year, though, we finally decided to join our friends who've been reading Eichah at the Sherover Promenade, overlooking the Old City and the Temple Mount. If you live in Jerusalem, I finally figured, why sit in a small synagogue when you can be outside, gazing at the very site that you're mourning? There were hundreds of people on the Promenade, and the view of the Temple Mount was as stunning as always. But still, something was making me uncomfortable. Yes, you could see the Temple Mount from where we were, but you also couldn't help but notice the new, rebuilt city of Jerusalem, as well. The hotels, the YMCA tower - all the famous landmarks of modern Jerusalem - were fully in view, lit so brightly that it was impossible not to dwell on them, too. And from that vantage point, Jerusalem just didn't seem the destroyed, abandoned, demolished city that's described in Lamentations. Even as we were still reading the words, I could tell - it was harder than it had been in previous years to get into the mood of utter devastation. There was something cognitively dissonant about the whole thing. And I wondered - is this the way to commemorate Tisha B'Av? Is this the place to be reading, "For these things do I weep" (Lam. 1:16)? If we're mourning the loss of Jerusalem, does it really make sense to sit where you can't help but see that while the Temple is gone, Jerusalem has been rebuilt? Somehow, the Temple Mount and the rebuilt city in one shared view didn't seem to fit the tenor of the evening. Next Tisha B'Av, I decided, I'll skip the Promenade, and just head back to shul. Next year, let's go inside the Temple Mount courtyard, outside the sacred portions, and sit down and then recite Eichah. If the words and atmosphere don't get to you, the Waqf guards or, if you are lucky, the Israeli police, will provide you with a devastating experience very quickly, one you'll never forget. LAUREL, Miss. (AP) - Federal officials say nearly 600 suspected illegal immigrants were detained in a raid on a manufacturing plant in southern Mississippi, making it the largest such sweep in the country...The Mississippi raid was one of a series of recent high-profile crackdowns on illegal immigrants. In May, officials swept into the Agriprocessors kosher meatpacking plant in Iowa and detained 400 workers. Yes, but what exactly are they advocating? Left-wing, radical and progressive defeatist politicies? Can we have some clarification, please? Earlier, Ms. Rice had made clear that neither Israelis nor Palestinians had fully lived up to their obligations. Israel is supposed to end all settlement building and remove illegal settlement outposts, while the Palestinians are supposed to dismantle terrorist infrastructures. And these two - "settlements" and terror - are equal? c) The headline - "Rice, in Israel, Criticizes Surge in Settlement Construction". Notice that use of the term "surge", like in "troop surge" so as to link Jewish revenant residential communities in the historic portions of the Jewish homeland with the anti-Iraq sentiment in America. Good ol' New York (dislike Israel) Times. New Meaning to "Scrolling on the Internet"
Remember the Dea Sea Scrolls? Well, they aren't really 'dead'. 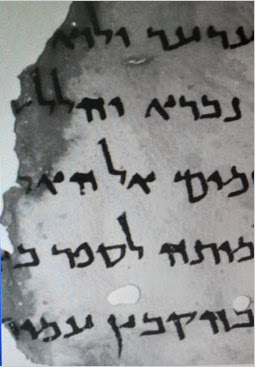 Equipped with high-powered cameras with resolution and clarity many times greater than those of conventional models, and with lights that emit neither heat nor ultraviolet rays, the scientists and technicians are uncovering previously illegible sections and letters of the scrolls, discoveries that could have significant scholarly impact. Will the Arabs and antizionists claim it's another Jewish plot to prove that Judea preceded "Palestine"? Darn that Bible. Even the New Testament refers to the country and Judea and Samaria. 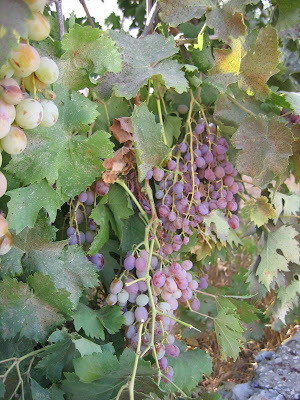 Check out Acts 8:1 - "...all except the apostles were scattered throughout Judea and Samaria". Or, in Greek: ιουδαιας και σαμαρειας. Allah saying "We shall gather you altogether" doesn't mean it's their right or privilege. He is just saying it is going to happen. Their gathering might be nothing but a way to punish them. Anyway, the majority of them never believed in Allah's messengers(as). All they did was rejecting the truth and killing prophets and those who believed. They never did anything good to deserve any land as a gift from Allah. And what good have the Hizbullah ever done, to anyone? 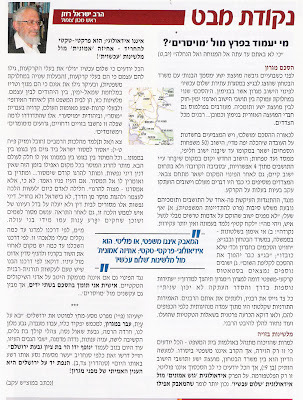 My good friend, Chana Givon, who I interviewed on my guest spot over at Arutz 7, has an English-language op-ed over at Ynet. According to Canada's Bnai Brith, a young religious Jew is the latest victim of antisemitic incidents in St. Agathe. There have been acts of vandalism, burglary and egg throwing directed at religious Jews. 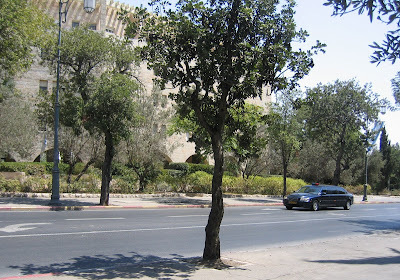 On August 16, a family was walking to synagogue. Teens followed them down Rue Principale, the town’s main street, four boys and six girls shouting insults at the family and throwing coins at them...The tallest of the group, obviously wanting to impress the others, slapped a son on the cheek...He then put some kind of ring on his finger and punched the son on the side of the eye and he began to bleed. And what was the official town response? St. Agathe des Monts Assistant Director General Benoit Fugère was upset to hear about the latest incident. And the, excuse the pun, punchline? I never manage to figure out this logic. If, without press and media, we have antisemtism, verbal and physical violence, the media can't be the cause. It can, yes, make things hot, but it can only contibute eventually to a solution. You Speak Yinglish, Or Just Understand It? This just came into my mailbox. If it is 'old', sorry. But I thought they were a chuckling delight. troubles to find a tenth person to complete a Minyan. is sufficient grounds for diskvellification. foods before the end of Passover. pregnant after one had a vasectomy. This one much more of an ethical complaint. ...we know that money corrupts—do we lack instances of scandals in charities? A blogger who received a free business-class round-trip plane ticket from Nefesh B’Nefesh would inevitably think twice about checking out a rumor of malfeasance in the organization — or even about writing that some of the olim in its care felt they hadn’t been treated properly. Even if there were no such rumors or complaints to be heard, the fact that the bloggers accepted this perk automatically reduces their credibility to zero in writing about the organization and its activities. Nefesh B’Nefesh — don’t tempt bloggers with plane tickets next time. And bloggers —if they offer you one, politely but firmly turn it down. There is a principle here but when you have over 200 bloggers present, even with 10 being flown for free, and 1300 on-line, the ethical violation is negligible. Everybody knows what's going down. It's not as if it is a secret. The free travelers all proclaimed it and thereby, they warned everyone. If NBN is corrupt, someone is going to blow the whistle, ticket, conference or not. Haim, so, you weren't invited. My wife was invited two and three years ago, one-way, though, and I wasn't. That's life. As long as there's Aliyah, it's okay. First, she made a joke about the truce in Gaza having its ups and downs - yes, that is what Qassams do. We have also discussed the situation in Gaza Strip and the urgent need to alleviate the suffering of the Palestinian people and opening the doors and the crossing borders – points for the people and for the goods, so that life can continue in the Gaza Strip, despite the fact that there is a truce in Gaza Strip and we have supported this truce and we have provided all support to this truce – yet the situation in Gaza Strip is intolerable, unbearable. "Despite the fact there is a truce"? You mean despite the fact that the truce has been constantly violated, right? Madame Secretary, the situation that is intolerable and unbearable - is it that Hamas continues to sanction terror and permit the ongoing firings of Qassams at Israeli civilian targets or, perhaps, that Israel, in responding to terror and its security needs, has been attempting to limit the terror. Or is what is intolerable is that Gilad Shalit hasn't been released? Or that the digging of tunnels for the smuggling of arms and ammunition and explosives continues is what is unbearable? If you believe Israel is an "apartheid" state, you will be disappointed. 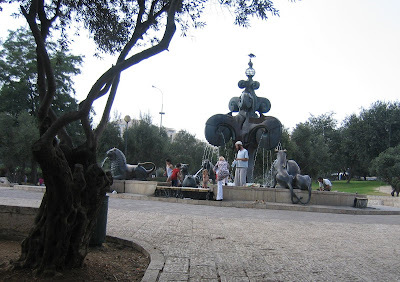 Next to the Menachem Begin Heritage Center is a small park, part of the larger park that extends up towards the King David Hotel. 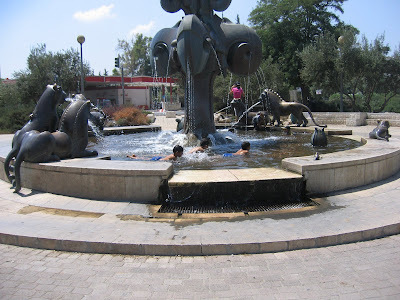 It has a fountain with lion-like figures. 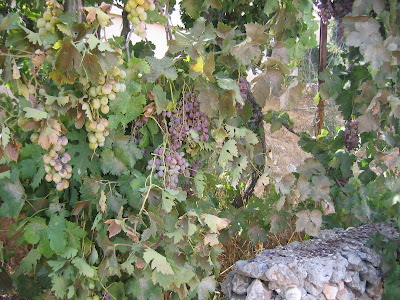 Arabs from Silwan come up to take advantage and swim and even pick olives. Tony Curtis spent over a half-hour outside a Montreal cinema signing autographs and charming the crowd Saturday...[he's] in town for the Montreal World Film Festival to promote the documentary The Jill and Tony Curtis Story. The film documents the couple's fight to rescue abused, neglected, injured and slaughter-bound horses. Jill Vandenberg, Curtis's fifth wife and 46 years his junior, founded the Shiloh Horse and Rescue Sanctuary in 2003 in the couple's home state Nevada. a. Shiloh. I live in Shiloh (pronounced, I remind you, shy-low). b. Tony Curtis, aka Bernie Schwartz, used to live in the neighborhood of my maternal grandparents in The Bronx and my mother's youngest sister, Selma, used to get rides from Bernie in the net basket on the front of hsi bicycle which he used as a delivery boy for the neighborhood grocery. Tzipi and Condi had a joint press conference. QUESTION: The organization Peace Now reported today that Israeli settlement activity has nearly doubled in the past year, Foreign Minister Livni, how do you reconcile that with your stated goal of trying to reach a peace agreement? I mean, it could have been easier also for me to use some excuses, and to say that this affects my ability to negotiate. But I decided not to do so, even in harder days of terror. So I would like to suggest my co-partners not to use it as an excuse. And I know that they are not using it as an excuse, but I understand the frustration sometimes. ...Secretary Rice referred to the conflict, which is more than 40 years. Tzipi, if you don't refer to the conflict as 80 years old, the Arabs are laughing at you. It's not the "disputed territories" taken in 1967, it's not the partition refused in 1947, it's not the Mandate rejected in 1923, it's not the Balfour Declaration condemned in 1917. The conflict is the Jewish political sovereign prsence anywhere in the Land of Israel, since time immemorial. You know, for those cartoons. "Hit the Jews in Their Pockets"
In 1946 there lived in this house a British general by the name of Barker. Today I live here. When we fought him, you called us "terrorists" - and we carried on fighting. 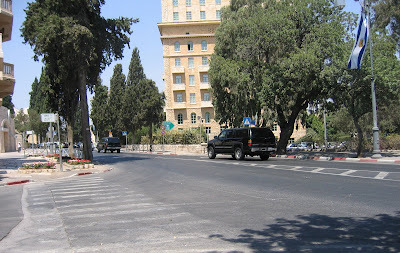 After we attacked his headquarters in the requisitioned building of the King David Hotel, Barker said: "This race will only be influenced by being hit in the pocket" - and he ordered his soldiers to stop patronizing Jewish cafes. To hit us in the pocket - this is the philosophy of Barker. Palestinian Authority (PA) leaders, responding to a Reuters report (*)implicitly charging that tax-free donations to Judea and Samaria threaten a peace agreement, said that exemptions are contrary to American policy and international law. Reuters, which is partly owned by a Qatar investment fund and frequently runs critical articles of Israel, told its readers, "The United States says Jewish settlements in the occupied West Bank threaten any peace between Israel and the Palestinians -- yet it also encourages Americans to help support settlers by offering tax breaks on donations." The groups say the tax-exemptions are based on humanitarian work they perform in the settlements. Critics counter that the programmes are political in nature and undercut U.S. foreign policy interests and international law. Based in New York, the tax-exempt Hebron Fund has raised an average of $1.5 million a year to assist the hundreds of Jews who live in the city surrounded by 180,000 Palestinians. The Hebron Fund, created in 1979, "operates in concert with the community there to assess their needs and respond in kind" with the goal of improving the "daily life for the residents of Hebron, Israel", the organisation's website says. 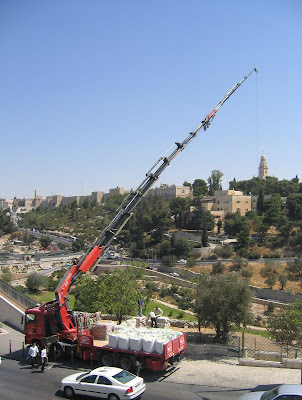 After settlers took over a new but unfinished building in Hebron in March 2007, the fund solicited donations to finance renovations like installing doors, windows and heating systems. "Dozens of new families can now come live in Hebron -- only if we renovate this building quickly!" the Hebron Fund said in its appeal. To critics who argue that the projects promote settlement expansion and run counter to U.S. foreign policy, Hebron Fund Director Yossi Baumol responds: "That's true. But the U.S. government has no right to use political considerations when judging humanitarian and non-profit needs. The right of Jews to live in Hebron, or New York, should be protected." "Tomorrow, the president may be in favour of it (settlements) and that would put all the non-profits at the mercy of politics," he added. 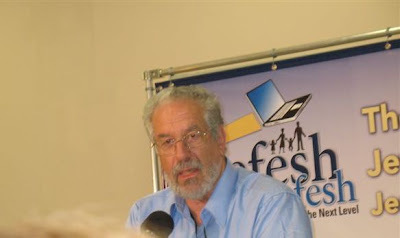 Christian Friends of Israeli Communities is a tax-exempt organisation whose stated goal is to link settlements in Israel with Christian churches in the United States and elsewhere. Fundraising among U.S. evangelicals has grown steadily in recent years. The organisation's U.S. branch has told prospective donors it aims to raise $650,000 in 2008 to "help the Jewish people living in Judea and Samaria", compared to less than $140,000 raised in 2002, tax records show. "We are not a political organisation. We are doing humanitarian work and we're doing humanitarian work in Judea and Samaria," Sondra Oster Baras, president of Christian Friends, said, referring to the settlements in the West Bank. Baras, who is Jewish and lives in a West Bank settlement, said denying tax breaks to organisations like hers would be the equivalent of cracking down on food kitchens in the United States because they provide services to some illegal immigrants. "Injecting extraneous political issues into what should be a purely humanitarian issue will open a Pandora's box for every charitable organisation in the United States," Baras said. The tax-exempt American Friends of Ariel has raised more than $5.5 million to help residents of the settlement over the last five years, tax records show. Money went to the Ariel Development Fund, which, in turn, finances "humanitarian" projects, including "immigrant absorption". The fund was created because the leaders of Ariel believed "government budgets would not suffice to create all the services and facilities that the pioneering residents of Ariel would need," the city's Web site says. "We don't deal with politics. We deal only with the welfare of the people. That is what the IRS demands," said Ariel Mayor Ron Nachman, who is listed as president of the Coconut Creek, Florida-based American Friends of Ariel. QUESTION: How does the ceasefire in Gaza help matters? Has it endured better than you imagined? SECRETARY RICE: Well, it has its ups and downs, obviously. Yes, Condi, Qassam missiles, Grad rockets and mortars do have that up-and-down tendency. As I went out from the Begin Center, lo and behold!, the funny lady herself drives by and waves at me. Really. ...National Bureau of Statistics data shows that construction in settlements jumped from 240 housing units between January and May 2007 to 433 housing units during the same period this year...Peace Now reports an increase of 550 percent in the number of tenders for construction in the settlements: 417 housing units compared to just 65 in 2007; 125 new buildings at outposts, including 30 permanent structures. ...says Peace Now director Yariv Oppenheimer, is that "Israel is erasing the Green Line through intensive construction intended to create territorial continuity between settlement blocs and isolated settlements in the heart of the West Bank, with this construction approaching Palestinian cities such as Bethlehem and Ramallah." Actually, what Oppenheimer is saying reminds me of what the Arabs seem to be doing. Funny, the Nefesh B'Nefesh list of the participants at the Jewish Bloggers convention excludes me. And I was a panelist. Seems there was a campaign in London where street-art and a interactive map were used to encourage Londoners to make more time for reading, and to celebrate London as an international centre for books. Stencil art was used on the streets of London to confrontate public with various book quotes. There is a website that contains a interactive map showing books set in the different neighborhoods. Well, this can surely be adapted and slightly altered for in Jerusalem, we have loads of books - the Bible, the Mishna, the Midrash, literature from the Middle Ages, the Zohar, and Modern Hebrew Literature - that can be used that refer to places in the city. A quotation from the source near the actual place or event would do wonders. And there goes the Dormition Church! One Voice has a very funny idea. I think I once either blogged or wrote an op-ed piece on this theme. That is, what special games and competitions can be included. Rock throwing while being shot at. Molotov bottle throwing, without fuse lit. Molotov bottle throwing, with fuse lit. Molotov bottle throwing, with fuse lit but carelessly stuck in bottle. Sprint over obstacle course including burning tires, sabra bushes and tin cans. And, after China, how bad can "Palestine" be? Former university lecturer Jeff Halper told The Jerusalem Post that he hoped to cross back into Israel via Erez Crossing on Tuesday, while his colleagues, a group of activists who arrived in Gaza's port on Saturday, would began a "revolving ferry from Cyprus to Gaza." "...one boat is going to return," Halper said. "Others are going to stay here for a month, but overall, we're trying to create an ongoing ferry service that brings in people and supplies from Cyprus to Gaza This is not a one-time attempt. Bet you our smart Israeli foreign office blokes didn't think of that possibility. So, now they have to really think of how to stop this. They didn't want to over the weekend but bad things keep coming back. ...I applaud the choice of Biden, but the one thing he does not represent is change. ...Biden's selection represents an implied admission by Obama that he lacks what Biden has: foreign policy credentials. In that sense, the Delaware senator does not make the ticket whole. Instead, he calls attention to what it lacks. ...No, Biden was chosen because, in the end, he satisfied Obama's apparent desire, if not need, to reassure those who wonder about his youth, his race, his manner, his peripatetic childhood: I'm safe. I'm prudent. I'm thoughtful. I was president of the Harvard Law Review, for crying out loud. On the stump, Obama did not need someone like himself. He felt the need for someone more rooted. And I am not subscribed. Want to know how a U.S. strike on a newly nuclearized Iran might actually work? Turn to page 154 of Francois Heisbourg's extraordinary new book, Iran, the Choice of Arms, published in Paris but, alas, not yet in the English-speaking world. It's frightening, but as accurate as only an insider's insider can possibly be--down to the actual weapons America might launch and their impact on the military machine and civilian infrastructure and population of the nation that is perhaps the world's most dangerous and unpredictable power. In one of three densely conceived, though, the author is careful to warn, utterly fictitious scenarios, President Bush launches Operation Boundless Fortitude after Iran's religious leader Ali Khameini announces baldly that his nation has manufactured weapons-grade fissionable material enriched to nearly 100% (in lieu of 5% enrichment for peaceful nuclear reactors). Shmarya posted a piece at Jewcy about the Koshrot anti-Arab employment brouhaha. Shmarya wrote: "But now a group of settler rabbis, overwhelmingly Ashkenazim of eastern European origin, are challenging the Jerusalem Rabbinate’s reliance on Isserles, the Ashkenazi codifier." I checked that JPost story on Kosharot. It mentions one name, that of Rav Elyakim Levanon. He is Ashkenazi. He is a revenant Jew living in a part of the historic land of Israel not yet under full Jewish sovereingty (not a "settler". "Settlers" are the Dutch in So. Africa or, Ashkenazi, East-European Jews in America). The way that sentence is phrased, one would think a rabid antisemite wrote it. As far as I know, over the past year, many efforts have been made to limit the employment of Arabs in Jewish establishments. Most of that work is being done by S'faradim (I am not sure if they originate in East Europe or East-East (Iraq, Syria) or West-West (Morocco, Algeria, France). In any case, that type of writing is inflammatory, biased, and possibly racist. "Two Arabs from Nablus, Ahab Abu Riyal and Anas Salum, were arrested by Israeli Shin Bet officers last month before they could carry out their mission to poison Israelis on behalf of Hizballah. They are members of the Fatah-al Aqsa Martyrs' Brigades, part of Mahmoud Abbas' "moderate" Fatah organization. The cell was led by two wanted terrorists, Hani Kabi and Husni Tsalag. They were hired as kitchen workers by the Grill Express restaurant near the Diamond Exchange in Ramat Gan, apparently after presenting Israeli-issued IDs allowing them to work in the country. Their orders were to dump a slow-acting colorless, tasteless and odorless poison in the food of customers. It would take effect after four hours, enough time to murder a large number of Israeli diners. The Shin Bet did not identify the substance. One of the two men was detained on March 19, just days before the mission date. The second was picked up at the home of an Israeli Arab friend in Jaffa." So, since Shmarya and I have dialogued, I hope he responds to this considered post. he has. I have. Go there. Ellen Horowitz at my wife's blog. I think that what you have done and what you plan to do is a sin. You have ensared and stolen a person's soul. You are not asking to practice Christianity in Israel and the full freedom to do so but to steal from another religion by fudging the theological difference between two religions, as if they are actually one. Jesus lived and died a Jew. Christianity evolved from a corruption of his teachings. You cannot roll back that decision to split off from Judaism. You may refer to opposition to what youand Tomer will atempt to do as "hate" but it is your hatred, hatred for Judaism that drives you and that is the unfortunate essence of your "mission". On the killing of a journalist in Gaza. Israel's leading ultra-Orthodox rabbis are waging a new offensive against Jews visiting Jerusalem's Temple Mount. Rabbis Shalom Elyashiv, Chaim Kanievsky and Ovadia Yosef sent a letter recently to Rabbi Shmuel Rabinovich, the overseer of holy places in the Western Wall complex, urging him to reiterate the religious decree signed 40 years ago by most rabbis in Israel forbidding Jews from entering the Mount. ...The rabbis' statement calls for a complete ban on entering any part of the Temple Mount complex for fear of compromising the "purity" of the area. ...recent years have seen a change in position among national-religious rabbis, many of whom have made efforts to lift the ban on visiting the Mount. The change in position is due partly to damage caused to Jewish antiquities at the site, and the denial by Muslim authorities of Jewish links to the area...Visits by religious Jews to the site have also increased significantly. Some rabbis have cited the principle of the "law of conquest," according to which territories in the Holy Land must be wrested from "foreign" control. The key, as we all know, is simply delinieating where the Temple Mount, originally a 500 square cubit area, was not. A dig at embattled singer Amy Winehouse has been declared the funniest joke of the Edinburgh Festival Fringe. After three weeks of stand-up performances, critics put their favourite jokes to the public vote and comedian Zoe Lyons won. Lyons’ winning one-liner was: "I can't believe Amy Winehouse self-harms. She's so irritating she must be able to find someone to do it for her." Do you think he would blow himself up in some supermarket or restaurant? The way we see other people depends on the window on which we look at the world, what we see through it, when, under what lights and shadows, and, especially, in what larger setting, for whatever the many varieties of individual experience, each one's outlook is perhaps most heavily influenced by the larger political, economic and cultural facts of the relationship at the given time. Professor Norman Rose deserves appreciation for pointing out that the "sensational revelation" of Chaim Weizmann's support for collaborating with the British occupier was already published some 30 years ago (letter, Aug. 20). Nevertheless, I would suggest it is quite sensational to be reminded by Prof. Rose that Weizmann's policy predated the official Yishuv "Saison" operation by some six months. Of course, his grading his grief for his son Benjamin, lost in an air battle over Britain, as less than that of his mourning for Lord Moyne, has been well publicized. Nevertheless, Rose's desire to see the "wider perspective" which includes Lehi's personal assassination (when is assassination not personal?) operations and its "flirtation with the Axis powers" is problematic. When the Hagana assassinated several Jews in 1940, suspected of informing on arms caches, and when the Palmach assassinated a British officer in Jerusalem in 1946 who tortured prisoners at Biriah, did that stain them the way that the Irgun and Lehi were ostracized? Or was Weizmann's opposition mor e political than moral? Moreover, as the "flirtation" he notes occured in 1940-41, and as Stern had been personally assassinated by the British in 1942 and therefore a whole new chapter had begun in the fight for Israel's liberation, one in which the Hagana and Palmach joined the so-called "dissidents" in November 1945 in the United Resistance Movement framework, perhaps Weizmann was wrong in his grovelling before the British? 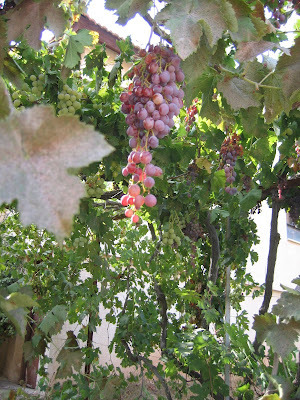 My faithful readers have been following my garden grapevines over this past year and here they are, ready to be eaten and delicious, too! If you go here, you can view the video recording of the Jewish Bloggers Convention and if you jump to 2:26:30, you'll see the start of the Waffle Raffle - I won. And at 3:22:10 you'll catch my panel presentation. You may have seen our son Gannie jumping from a bridge into a river in Guatemala. We played host to soldiers who are participating in the special seven week course, Nativ, which the IDF as initiated for those who need strenghtening of their Jewish identity, having come from communities where their contact with Judaism and Jewish life was minimal or they are non-Jews, mainly from the former Soviet Union, are are preparing for conversion. Our two boys were from Tennessee and Indiana/Florida. 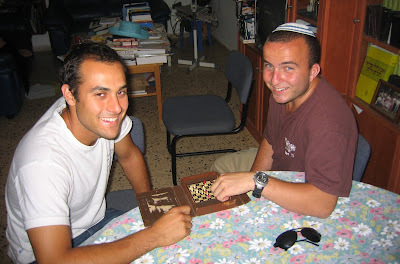 I think they enjoyed the Shabbat, the food, the company and also, they played games of chess. you'll notice that the pieces have pegs. 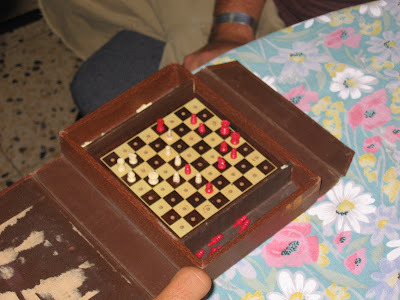 That was my late father's chess set which he took with him when he went in to the US Army Air Force, 101st Bombadier Squadron. He spent the wr in the South pacific with R & R in Australia. I'm glad the set got some more use 60 years later. Weblogs (blogs) - frequently modified Web pages in which dated entries are listed in reverse chronological sequence - are the latest genre of Internet communication to attain widespread popularity, yet their characteristics have not been systematically described. This paper presents the results of a content analysis of 203 randomly-selected Weblogs, comparing the empirically observable features of the corpus with popular claims about the nature of Weblogs, and finding them to differ in a number of respects. Notably, blog authors, journalists and scholars alike exaggerate the extent to which blogs are interlinked, interactive, and oriented towards external events, and underestimate the importance of blogs as individualistic, intimate forms of self-expression. Based on the profile generated by the empirical analysis, we consider the likely antecedents of the blog genre, situate it with respect to the dominant forms of digital communication on the Internet today, and advance predictions about its long-term impacts. Jewish Communities, No; Palestinian communities, Yes? You all know that I refuse to use the term "Jewish settlement" to describe my home and the other 150+ cities, towns, villages and communities in Yesha. Two Israelis who entered a Palestinian community east of Bethlehem were detained by Palestinian security forces and were removed unharmed in coordination with Israeli authorities. What did the locals expect? The lefties are just lucky the locals aren't cannibals. If you go here, you'll be enlightened as to some doings by the Royals (UK that is). It appears that Prince Harry's girlfriend, has returned from Botswana to the urban jungle with a bout of serious shopping, accompanied by her mother Beverley, and the 22-year-old student spent several hours in the boutiques of King's Road, Chelsea. Education Minister Yuli Tamir ridiculed on Wednesday reports that she had ordered Revisionist leader Ze'ev Jabotinsky removed from the ministry's curriculums. Tamir pointed out that Jabotinsky and his philosophy would be taught to tenth through twelfth graders as part of their history curriculum this coming year as they had been in previous years. Seventh through ninth graders had also learned about Jabotinsky, she said in a statement. The funny thing is that her former husband is the son of one of Jabotinsky's senior activists in America during the Bergson Group activities, Alexander Rafaeli. Sarah Bernhardt - A Loose Jewess?